We came to the material in this book via different pathways. One of us was introduced to architecture via the writings of their fellow countryman, Steen Eiler Rasmussen, and then, as an immigrant, confronted the dislocation between their own spatial intelligence and that of a new country. The other comes via an apprenticeship with Tasmanian architect Michael Viney, who fused a commitment to Corbusian modernism with Japanese spatial techniques, geomancy and a particular reading of Tasmanian landscapes, resulting in a suite of exemplary works anchored by this heightened spatial intelligence. These experiences were galvanised during Terroirs participation in the RMIT Invited Masters program where  with one as participant and the other as observer  the tools laid out in this book were deftly introduced at key moments in the research program to unlock new ways of understanding what it is that we do as architects. Therefore, writing about this book then is somewhat difficult given that it feels so familiar. The writings on Philip Fishers wonder and the aesthetics of rare experiences, Ignasi de Sola-Morales and weak architecture, insights embedded in childhood experiences, the productive role of the toy in design and the failures of exportation in the work of notable architects  all were present as we watched van Schaik assist masters students unlock the multiple layers of their mental space, and appear here like a set of reminisces collected in one volume. Discussion among peers has revealed, however, that the material presented here is not widely known locally (outside the RMIT coterie) and thus its appearance in a book is vitally important. This was brought home at the National Conference last year where van Schaiks contribution to a forum on global architecture was to talk of the ethics of exportation and in particular of the spatial intelligence that is exported when we work outside our home domain. This clear observation suggested a review of the global architecture industry and reminded the audience how crucial it is to come to terms with your own spatial baggage before being able to successfully export it. The book commences with a stream of observations, experiences and recollections that range from cinema to scientific discovery to formative childhood memories. In a technique familiar to us from the RMIT program; this diverse collection of references is gently coaxed or herded toward a eureka moment enabled by a weak intelligence as described by Sola-Morales. The sophistication of this technique is the strongest characteristic of the book and the one that perhaps deserves particular mention in the short space available here. Many who are not familiar with the breadth of van Schaiks interests will be surprised to find reference here to boat hulls specifically designed for particular waterways or the rightness of forms that respond to particular climatic or topographic contexts. When similar observations are made by architects of the Sydney school, for example, they are usually portrayed as the secret knowledge of a cult figure, becoming a part of the mythology that is used to draw a boundary around a cult and its leaders. 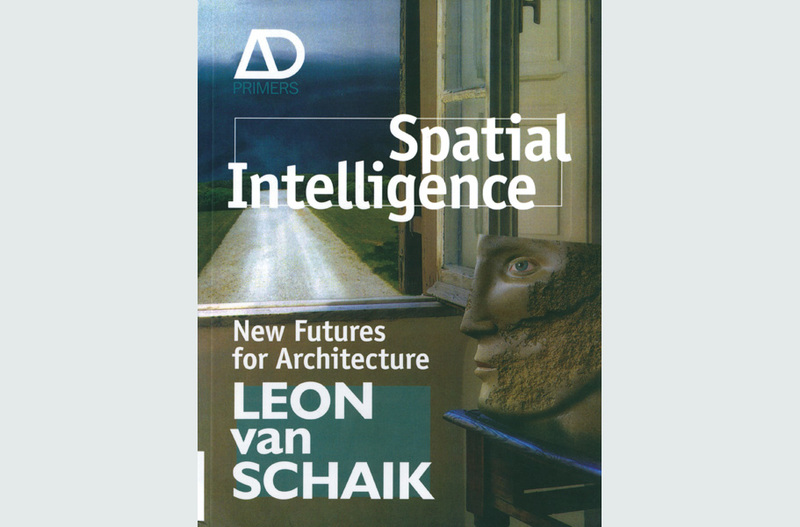 In contrast, van Schaik gently glides across an extraordinary breadth of spatial references with the careful hand of a sensitive design teacher and, in doing so, finds space for observations of light, the orientation of a room and the full power of contemporary digital technology in the work that we do. This nuanced view ensures that the pedagogical lessons provided here are numerous and thus constitute a most important contribution given their rarity  for in a country with 19 architecture schools and dozens of design studio leaders very little has been published on or about the teaching of architecture. While our history and theory teachers document their research both internationally and here via SAHANZ (Society of Architectural Historians, Australia and New Zealand), those who teach design remain disturbingly silent. But herein lies our one disappointment with the book  building as it does to the crescendo of Chapter Five where exemplars in the deployment of spatial intelligence are reviewed, promising a full exposure of the thesis in practice. The work of Zumthor, Godsell, Herzog & de Meuron, Findlay and Hadid are all reviewed  a broad group, but who in van Schaiks opinion exhibit a conscious care for society at large… [who] exercise and extend spatial thinking on behalf of us all. Yet the description of each is tantalisingly short  perhaps due to the constraints of size, in which case this chapter should re-appear in expanded form as a book unto itself. Via these five case studies, in detail, the full pedagogical potential of the book might be fulfilled. Marie, when you said ” van Schaik offers perhaps an even more profound insight that, if followed through, would change the profession”, I was wired with anticipation about the thrilling buildings that may ensue once this insight gets known. How disappointing that the change you were referring to was nothing more than a change to your own profession’s status.